The French have this thing about lunchtime. Lunchtime is food time, and good food time if possible. Lunchtime is a moment to talk, to chill, to enjoy. Lunchtime in France takes time, maybe too much. 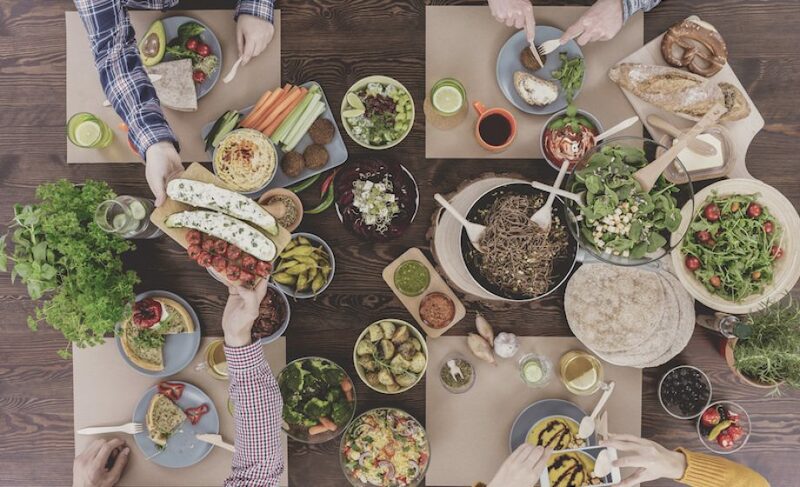 French FoodTech startup “Hungry Up” thought up a way to enjoy only the best part of lunchtime. Let’s face it the nice part of it are the eating and chatting bits. But before you get to that, you need to look for a restaurant that has room for you and your gang. Once you have settled, you need to get the menu and make up your mind. Then you wait to order, then you wait to eat. And when you’re done, you wait to pay the bill (unless you can run very fast). To make along story short: you wait a lot and what should take you 25 minutes ends up taking an hour of your time. The founder of Hungry Up, Maxime Trouche, was weary of wasting time during business lunches. His idea was to keep only the best part of lunch: the eating part. Hungry Up is available through an app or a web platform. Before lunchtime, you choose a place among the list of participating restaurants. You access the menu, pick your meal and pay for it (even with the famed “tickets restaurant”). Next step, you get to the restaurant, get comfy, your meal is ready, you eat, you leave. No wait, no splitting the bill. And if you’re still a little hungry, you can top up your order with the app while in the restaurant. There are huge benefits for the restaurant owners. So much so that several invested in the platform. First, it makes it easier to anticipate the number of meals to prepare at lunchtime. They have the possibility to refuse a client (within 5 minutes of the online order) but luckily, this only happens in about 1% of requests. Should this happen, the client still gets the opportunity to take away the meal. Since mealtime is shorter, it means the turnover is greater and the restaurant can accomodate more clients within the same time frame. They also get new clients who get to see them while browsing the app. A feature that benefits both the restaurant owners and the client is the possibility to leave a comment. This is particularly useful for clients who have specific diets and can then choose more quickly the appropriate restaurant. Foodtech often get a bad reputation among traditional operators like restaurants owners. The fear of losing clients – or suspicion – drives them away from tech solutions. 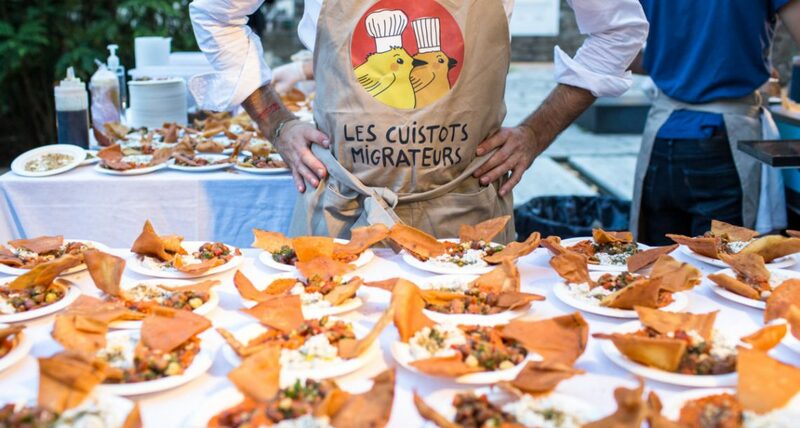 Starting in Paris in late 2016, Maxime has placed the headquarters of Hungry Up in the “2ième arrondissement”. Right among the restaurants that have chosen to become part of Hungry Up. This close relationship also helped generate trust. The restaurants can now be found in the 8ième, 2ième, 11ième and 17ième arrondissements. The team of eight people (which will double in early 2018) works on developping an app that is very simple to use. In a Tech wary environment, they want the Tech part to be seamless. Their wish is to be a partner to the food industry rather than claim the FoodTech label at all cost. Besides, when people try to gain some time by going over the fast-food solution, Hungry Up aims to be a healthy alternative. Hungry Up concentrated their efforts on a small area in order to test and improve their solution. They were the first in Europe and competition is coming. But the Hungry Up team has been hard at work to launch a few new things in early 2018 and stay ahead of the game. There are also demands from neighboring countries and other French cities. Hungry Up is a very interesting mix of innovative Tech in a traditional environment. Yet, it does its best to promote existing restaurants in a effort to become a lunchtime reflex for rushing professionals. So what will it be? Big Mac or Foie Gras…?